The Big Brother House is no stranger to fevered egos, control freaks and folk in pursuit of fame. But right now at the King’s Head Theatre it is being graced with the presence of one particularly charismatic house mate, the Fuhrer himself. Hew Rouse Eyre & Max Elton’s “Big Brother Blitzkrieg” is an Alice In Wonderland kind of tale: after a botched suicide attempt Adolph finds himself fallen down the rabbit hole into the peculiar world of reality TV. Or put simply, our world. Using the Big Brother House is an ingenious device, allowing the writers to tell a story, reflecting the effect of Hitler’s character upon this bizarre microcosm of society. Hitler’s housemates are an odd bunch, but it soon becomes apparent that they are there to reflect “us”. Adolph quickly assimilates into life in the Big Brother House, which sees the plot quickly darkening towards a powerful conclusion that leaves the audience with goosebumps. Every single member of the small cast was superb with no exceptions, with Stephen Chance’s Adolph proving particularly memorable with an uncanny charisma and a pinpoint comedy style that drives the show. Tracey Ann Wood plays Rachel, a housemate whom it doesn’t take long for Hitler to deduce, is a Jew. Wood’s performance, especially towards the end is jarring and worthy of particular praise. Hers is the only character who doesn’t take to Adolph’s charisma, remaining constant as others change. And it is these changes in those around Hitler that make this play special. 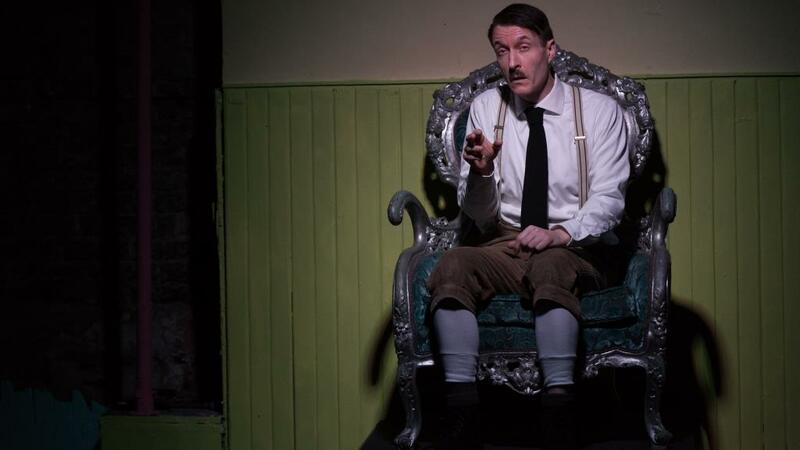 This play is not so much about Adolph Hitler in the world of reality TV, as it is about us. Every exchange and dialogue that the housemates have with Hitler is meaningful as he manipulates them like a master puppeteer. They are all affected by his presence and at just over an hour in length no moment of dialogue is wasted and the tale never drags. 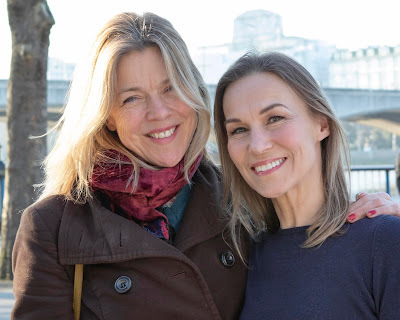 Big Brother Blitzkrieg proves to be the the darkest of satire and notwithstanding that the world was rid of Hitler over 70 years ago, the play chimes with an unnerving relevance today. If you want something provocative and which will leave you feeling slightly discouraged and pessimistic about the human condition today, then go see it whilst you can.